So much excitement in this first post, because I'm officially a new member of The Digital Dozen! It's such an honour to be amongst a ridiculously talented group of nail bloggers, and networking with them thus far has been great! Some members I was already familiar with, and others I'm happily just getting to know. Everyone is friendly, motivating and positive! I've been blogging for almost a year now, and really like the push this group gives me. Every month we are prompted with a theme and have to create nail art for 5 days straight. 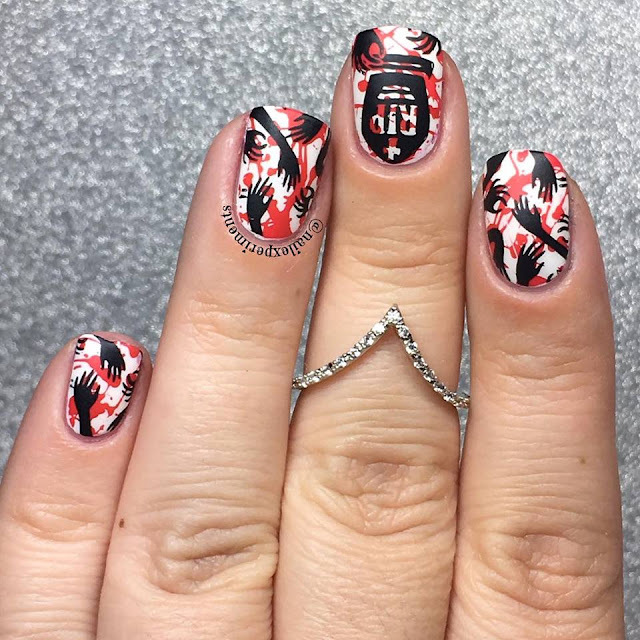 Since joining, I have been pushing myself with different nail art techniques, which will be shown over the course of this week. Mainly free handing! Although this look I've created today is done via stamping, some of my other upcoming looks will have some free hand art! I love that you literally translated Vampy!! Congratulations on the D12!! I had fun with this look but wait till you see Wednesdays post, because I think that's the most literal I could get with this look lol! Thanks so much + big hugs to you for tagging me to join! Thanks for always believing in me and happy to be apart of D12! So fun! 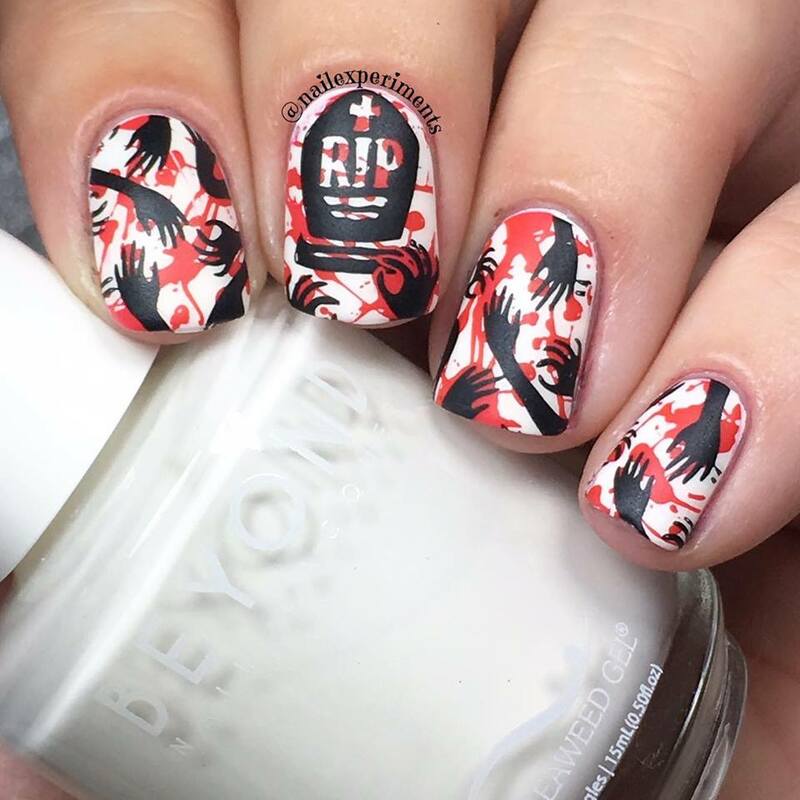 Love the stamping images with the double stamping - it screams vampy! This one really is so fun! 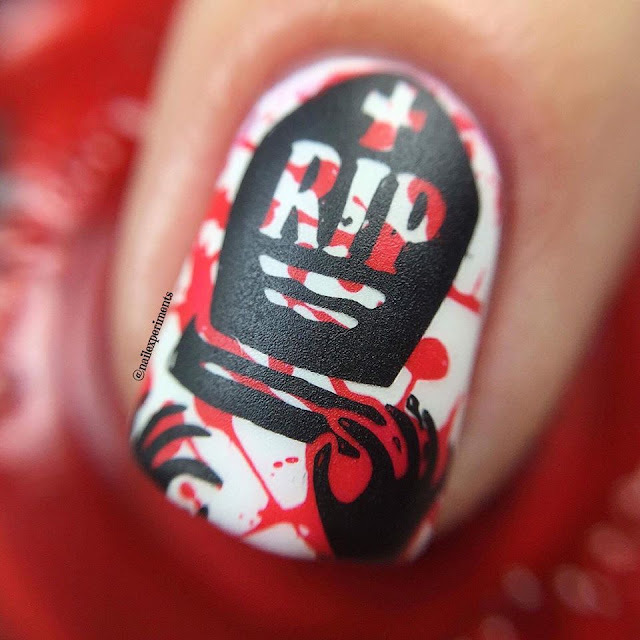 I would tota wear this on Halloween!! These look amazing! Congrats on joining the group too!